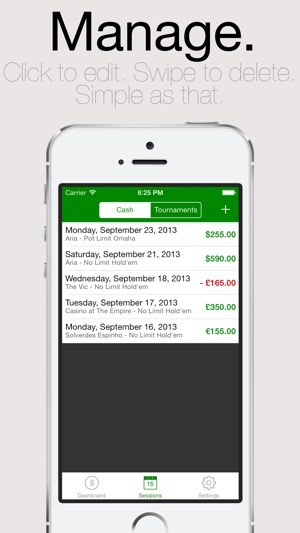 Poker Grinder is a must have bankroll tool and session manager for every poker player! 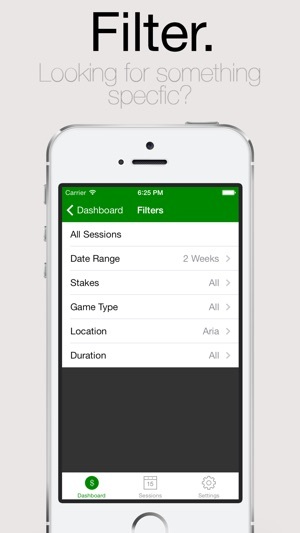 Poker Grinder Pro allows you to manage your sessions and track your results quickly and effectively. - What is you best game? Hold'em? Omaha? Razz? - Do you do better on casinos or home games? 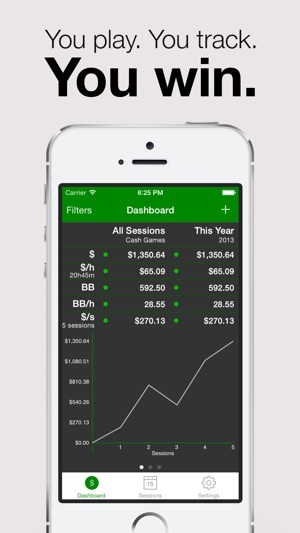 - Find out how much you are making per hour, per session or per big blind. - Take advantage of our graphs and filters to identify these and other tendencies and keep track of your profits and losses. 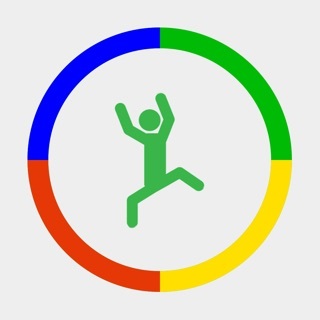 A small but super effective app that will take your live game to the next level. - Export and Import sessions. - And much more secret stuff. Suggestions are as welcome as fish at the tables! If you find bugs or glitches, please let as know so we can snap-fix them. 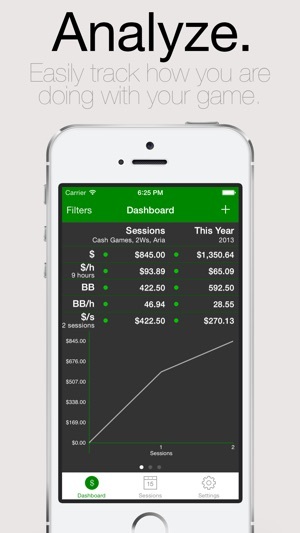 If you like Poker Grinder, please give it a rate and a review on the App Store. It's unbelievable that you pay $6.99 for a product that hasn't been fully inspected or maybe isn't cared for. There's bugs. Also, logging isn't easy, you must go through the same steps each session. What if you play the same game majority of the time? What if I want to know what time my more profitable sessions are? Why do I have to keep track of when I buy-in and cash-out, leaving up to me to do the math in my head for how many hours I played? $6.99? Really? The app is simple and easy to use. Does exactly what I need without fluff. Easier on the eyes than competitors. 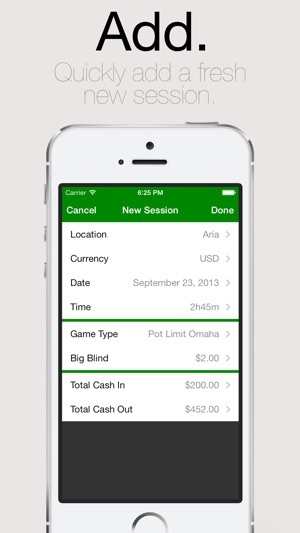 Perfect for tracking my cash game sessions. Beautiful and simple design.